The sound of a meteor breaking up in Earth's atmosphere is something most people will never get to experience. If one is to judge from the terrific explosion in this video, that is probably a good thing. 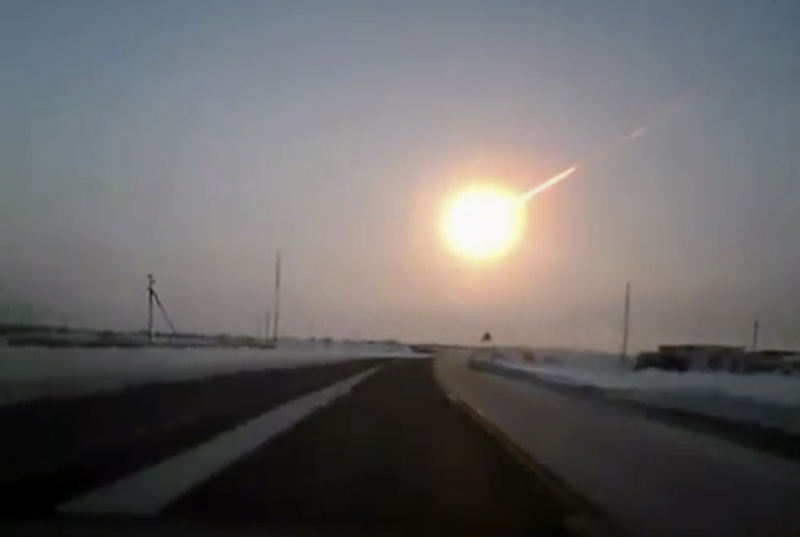 The meteor -- estimated to be about 10 tons -- entered the Earth's atmosphere over the city of Chelyabinsk at a hypersonic speed of at least 33,000 mph and shattered about 18-32 miles above the ground, according to the Russian Academy of Sciences. The resulting shock wave (which can be heard in the very loud video above) shattered glass windows and rained meteorites down on Chelyabinsk, injuring as many as 1,000 people. The majority of injuries are believed to be from broken glass. City officials told the Associated Press that one million square feet of glass was shattered in the explosion. The shock wave heard above released several kilotons of energy -- similar to the power of an atomic bomb. The meteor exploded because of the intense heat its plunge into the Earth's atmosphere generated.